The Contemporary Calvinist: Is Your Faith in Christ or in Your Conversion Experience? Is Your Faith in Christ or in Your Conversion Experience? It really saddens me when I hear people insisting that professing Christians must recall a specific time and place of their conversion in order to demonstrate that they are truly born again. Such an assertion cannot be supported by scripture, but that doesn't stop people like Pastor John Coleman from blasting strong men of faith like Dr. John MacArthur. If someone asked me this morning, "How do you know that you were born?" I would not reach for a birth certificate and argue that a doctor signed it on January 11, 1946, in Chattanooga, Tennessee. I would say, I know I was born because I see and hear and feel and I get hungry and I breathe. I am alive! And so if someone asks you today (or if you ask yourself! ), have you been born again, what will you say? How can you know? You know whether you have been born the second time (born of the Spirit) the same way you know whether you were born the first time. Do you see the truth of the beauty of the gospel? Do you hear the voice of God in the gospel? Do you feel the need to repent and be forgiven? Are you hungry for the milk of God's Word (1 Peter 2:2)? 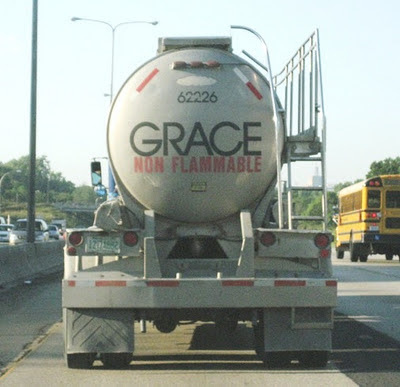 Are you breathing the air of grace? Are you alive with hope in the promises of God? A living hope through the resurrection of Jesus Christ from the dead! Amen. I beg to differ with him! I do not know the exact time I was saved but there's not denying that God had begun to change me and is continuing to do so! I am not the same person I was nine years ago and I praise the Lord for that! The scripture says a tree is known by its fruits, not by a specific date when it realized it was a tree. That said there is likely to have been a specific season when the fruits began to manifest themselves. I think I remember Dr. MacArthur's reasoning on this. He said that placing great importance on a date is a legacy of the tradition of decisional-regeneration. That pretty-much says it all. BTW, Pastor Coleman has only a 20% chance of remembering his date (Aug '67 had 5 Thursdays).